Follow the most famous tourist attractions in Bangkok.Visit the Temple of the Chao Phraya River, Wat Arun which are not crowded at night. Experience the unseen areas of Bangkok and ride scooters, explore quiet streets and alleys. Driving scooter around the Chao Phraya River. 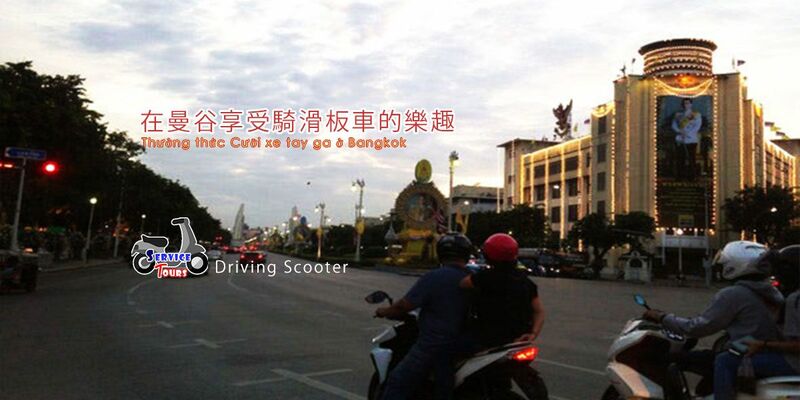 Visit the Bangrak area. Local museum River Church or Indian Temple. Have Tom Yum Kung for dinner or your food selected by order. Fruit Market and ready to taste some drink. Shopping at inexpensive shopping malls. Massage to relax and back to hotel. Enjoy to Bangkok a short time ,need to many activities.Suggestion for you with friendly scooter amateur to made amazing trip. You can drive if you have a valid driving license from your home country or International Driving Permit.But we're offer your assistant driver+500Bht.